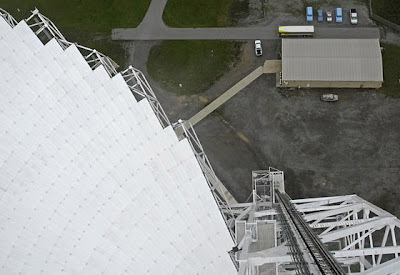 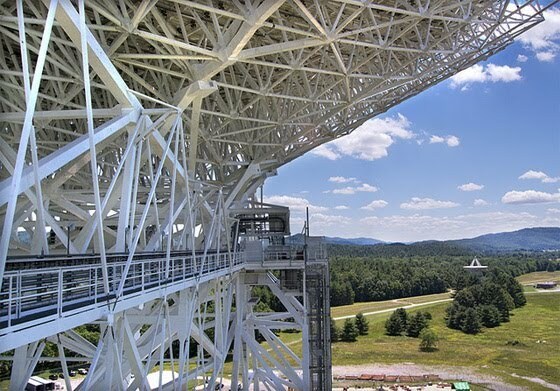 The Robert C. Byrd Green Bank Telescope is the world's largest fully steerable radio telescope. 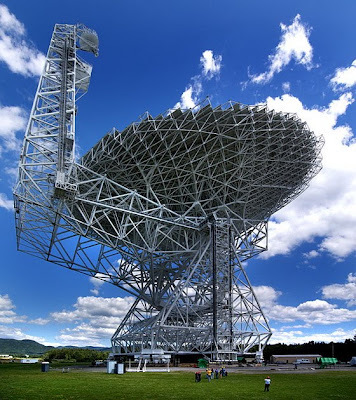 The Green Bank Telescope (GBT) is located at the National Radio Astronomy Observatory's site in Green Bank, Pocahontas County, West Virginia (79° 50' 23.40" W, 38° 25' 59.23" N : NAD83). 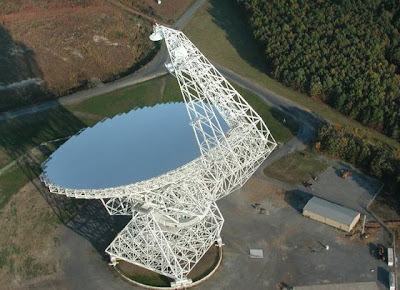 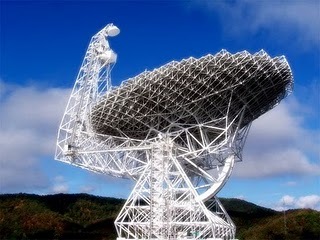 The GBT is described as a 100-meter telescope, but the actual dimensions of the surface are 100 by 110 meters. 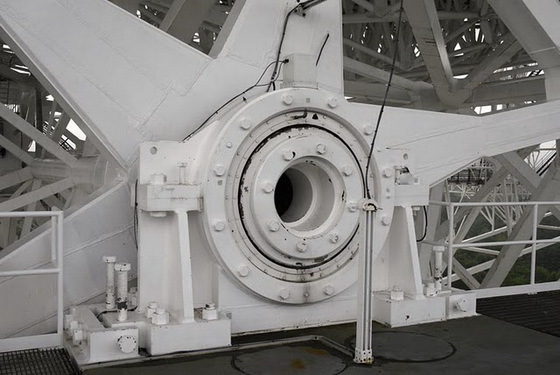 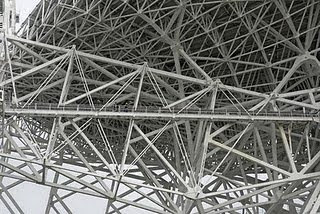 The overall structure of the GBT is a wheel-and-track design that allows the telescope to view the entire sky above 5 degrees elevation. 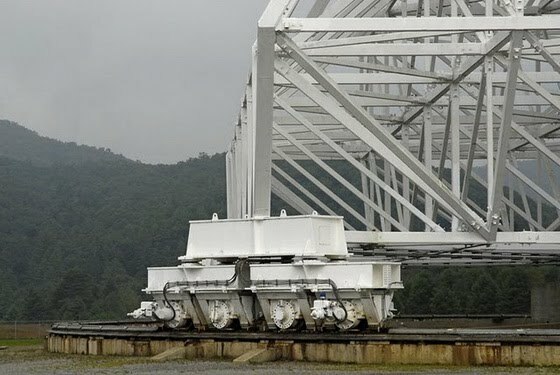 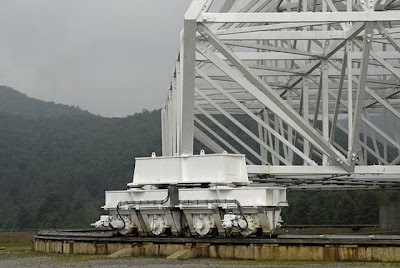 The track, 64 m (210 ft) in diameter, is level to within a few thousandths of an inch in order to provide precise pointing of the structure while bearing 7300 metric tons (16,000,000 pounds) of moving weight.